Nicholas Holdorf has been tangled in two Philadelphia rat races for years. The first is obvious — it's a 9-to-5 grind which then loops into the second, a stacked multi-instrumental resume from a handful of area bands, including No Thank You and In the Pines. One might think this dual-gig economy might leave Holdorf cashed out and exhausted, but after years of cobbling together home recordings as Cheer Up, selecting the best bits, and entering the studio with long-time friends Evan Bernard and Kaytee Della Monica, Nick's latest outing is ready. 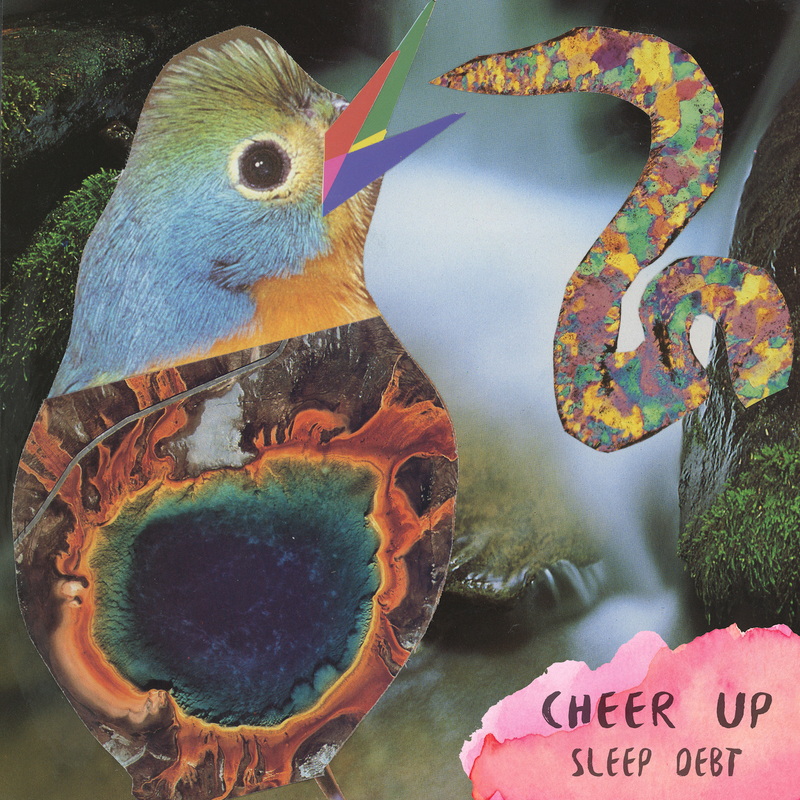 Appropriately, it's called Sleep Debt, and as such, it shows indie rock that burns at both ends. Guitar lines unfold past their point of comfort, with churning percussion and Holdorf's simmering vocals in tow. There are moments of rest on the record, but they're scattered throughout like moments spent nodding off in between driving shifts. it's in this delicate balance between breathing room and buoyancy that shows Holdorf's musical depth. Written and performed entirely by Holdorf, Sleep Debt finds its primary architect building his worlds around solitary moments. Late in the running order, Holdorf calls out to a person he might know, a friend of a friend whose identity is masked by the snaking guitar around it. It's in these outlines of personal connection where the smallest details of everyday life get exploded into wide-arching, erratic instrumentals, proving things can be larger than appear. Subtle touches of synth and effect pedals free create a center of gravity that's toppled at any moment by another cross-cutting drum fill or elastic guitar, leaving the guesswork in these layered arrangements. But that's the other half of Sleep Debt's mission writ large: it's a document of the unpredictable, the inexhaustible, and the massive. And with it, Holdorf might be able to rest easy knowing his bite-size meditations on love, loss, and the moon speak loudly. That's something to smile about.